There are several types of arthritis that affect the joints and surrounding tissues. The most common is osteoarthritis. This disease can increase in severity with age and activity because of how often, and how intensely, we use our joints. When osteoarthritis occurs, the joints become swollen and sufferers experience inflammation, resulting in pain. Often, affected areas also become stiff and achy, making dexterity and flexibility difficult. When this happens in the feet and ankles, it can make any activity problematic. With this condition, the body’s natural cushioning tissue deteriorates, causing friction between the joints. This means that the bones will rub against each other without any padding between them. Untreated, this can lead to reduced range-of-motion and even deformity, making everyday actions, like walking, more difficult and uncomfortable. There are several symptoms of arthritis. It’s important to keep an eye out for them, and not wait to voice any concerns you may be having. The most common sign is inflammation in your joints. With foot and ankle arthritis, this means your feet and ankles specifically may become swollen, achy or stiff, and walking or participating in your usual activities may become unbearable. Arthritis may also cause pain in the affected areas. Sports, dancing, and other previously enjoyable pastimes may become too strenuous to continue. If you notice these symptoms, it’s critical to seek help from a podiatrist, as continued use without treatment may worsen your condition. If you suffer from arthritis, there are many treatments options available, most being non-surgical. Arthritis is often personal to its patient, meaning that the extent of your condition and how to heal your joints is specific to you. Methods to treat arthritis include over-the-counter medications, prescription anti-inflammatories or even steroid medications injected into the affected joints. You may also consider custom orthotics that slip into your shoes and provide added comfort and stability. Arch supports are also helpful as are physical therapy exercises. It is always important to wear proper fitting shoes. This is especially true for those with arthritis. Ill-fitting footwear can exacerbate the disease, adding unwanted discomfort. Your feet work hard, so it’s essential to take care of them. In addition to wearing comfortable shoes, try elevating your lower limbs to relieve the pressure put upon them. Relax in front of your favorite TV show with a cushion tucked beneath your feet. Rest is an immeasurable asset to any care plan. There are also several exercises that you might try to fortify your joints and help them combat arthritis. These can range from simple stretches to strength-building routines. Most of these can be carried out in the comfort of your own home. While having arthritis presents persistent challenges to every-day life, it doesn’t mean you have to stop living! With the right treatment and care for your foot and ankle arthritis, you can back to participating in the lifestyle that you love. 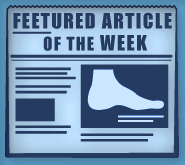 To find out more contact Dr. Michael Stein and Zeindelin Ahmad, DPM at the Foot Doctor of the East Bay. Call (510) 483-3390 for our San Leandro CA office, (925) 425-9684 for Pleasanton, and (408) 356-6767 for our Los Gatos CA location.